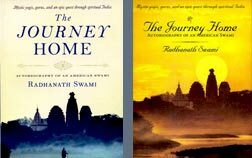 Radhanath Swami echoes the same message as Tat Walla Baba; there is suffering in this world because we have forgotten our relationship with God. Our situation is like that of a young, rebellious and lost child who has abandoned his billionaire parents and lives in the ghettos, and languishes in poverty. Just like a father would be concerned that his child returns home to him, God also eagerly awaits our exercising our free will to return to him. Richard (Now Radhanath Swami) felt that although his harmonica was his constant companion and shared all his joys and sorrows it was now distracting him from his spiritual path. 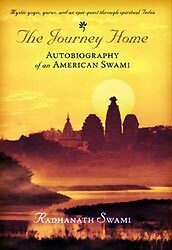 Quoting Vedic scriptures, Radhanath Swami says that sacrifices made for a spiritual cause are not taken away by time. Spiritual credits that we earn are permanent assets and they are worth sacrificing our lives for. Even little endeavor on this path guarantees freedom from fear and suffering, says Radhanath Swami. One day Richard observed that although being in the swift current of the river, one is greatly affected but sitting on the bank, we can observe the flow with detachment… Why is detachment needed? Radhanath Swami says a spirit of detachment helps us gain an aerial view towards our lives…. We have to maneuver the boat of our life in this ocean and seek to cross over to the spiritual world. Radhanath Swami writes that Mother Ganges teaches us that if we want to attain the sea of our aspiration, we must persevere in our goal and never be discouraged by the inevitable obstacles that come on our path. All impediments are like rocks in the river of life… Radhanath Swami says that the ability to persevere during difficult times comes if we can internally connect to God. 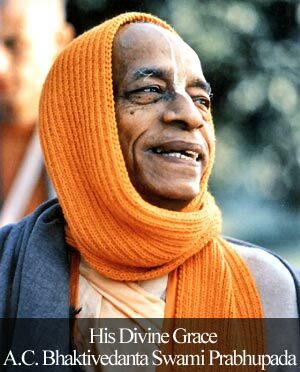 Swami Cidananda said to Radhanath Sawmi that life is meant for the realization of God. “If you die without attaining God-realization, your life is in vain. You have wasted away this precious gift of human birth given to you by God.”… Quoting his guru, Srila Prabhupada, Radhanath Swami says that humans and animals have the basic similarities of eating, sleeping, mating and defending. And the human society is endeavoring to make these four activities better each day. Talking specifically about Krishna, Radhanath Swami says that Krishna is the same all powerful God mentioned in other scriptures… Radhanath Swami points out that Krishna possess all six opulences that are required to meet the criterion of God- strength or power, beauty, knowledge, wealth, fame and renunciation…. Radhanath Swami for sure was attracted to Krishna’s beauty at this time in his spiritual quest. Richard (Now Radhanath Swami) learnt an important lesson; if we become overly attached to the externals of a spiritual path, we may forget the very purpose of the path: to purify our heart…. I realized what a responsibility it is to be a guru or teacher….